As a real estate investor and former commercial banker, I have closed hundreds of real estate transactions over the course of my career. If you're in this kind of situation (or if you just want to understand how the process works, inside-and-out), I want to show you the exact steps I use when I'm closing a real estate transaction in-house. The process is very similar, regardless of whether I'm buying or I'm selling a property. RELATED: Closing With An Attorney – When & Where is it Required? Being able to close a transaction in-house is a huge asset. By handling this entire process in-house, you can minimize paperwork and make the process much less intimidating for the person on the other end of your transaction. If you're looking for some examples (which are a bit more complex and detailed than my template), you can also refer to a website like Rocket Lawyer or USlegal to find what you're looking for. For this part of the process, you can either hire a title company to issue you a title insurance policy (which will ensure there is a clear title to the property) OR you can try to complete the title search yourself. If you're trying to do your own title search, here are some basic instructions on how to do it (you can also find more details here). The purpose of this form is to ensure that when I'm selling a property, the buyer is 100% responsible for doing their own due diligence, not me. When I'm buying and selling properties at a rapid pace, I don't always have time to research every potential issue under the sun. I make a point of investigating the most common issues that are relevant to me and then I move forward. The buyer understands that it's their job to do their homework before they purchase the property. I'm not going to be blamed for their lack of research. (as the seller) am not assuming any liability or responsibility for issues I was never aware of in the first place. The buyer is releasing me of all liability in the transaction (i.e. – they won't turn around and try to sue me at the first sign of trouble). Don't get me wrong – I've never even come close to getting sued or encountering legal issues with this type of thing, but if I ever did – a Disclosure Statement like this would be very helpful to have in my corner. This is why I've made it a standard order of business to always get this document signed when I am selling a property. The deed is the most important item in a real estate transaction because it's the official document that transfers the property's legal title from one person or entity to another. When all is said and done – the ultimate definition of who owns a property all comes down to what's written in the DEED. This is the document that everything else revolves around. This was the same thing they received when they bought the property. They paid for a title insurance policy when they bought the property, which protects them from any issues (should they arise). If you’re not certain about whether the title is clear, don’t use this kind of deed when you're selling a property. Because of how open-ended this type of deed is, it has a tendency to create problems in the chain of title for future owners since it lacks any guarantees or clear statements about who owns the property. All this to say, if a buyer is willing to accept this, they should really be doing their homework to ensure the property has a clear chain of title. Note: In my experience, most buyers have no idea what differentiates one type of deed from another – but as an educated real estate investor, this is a distinction you definitely need to be aware of. If the seller's goal is to simply not guarantee the title from the beginning of time, another alternative is to issue a Special Warranty Deed. 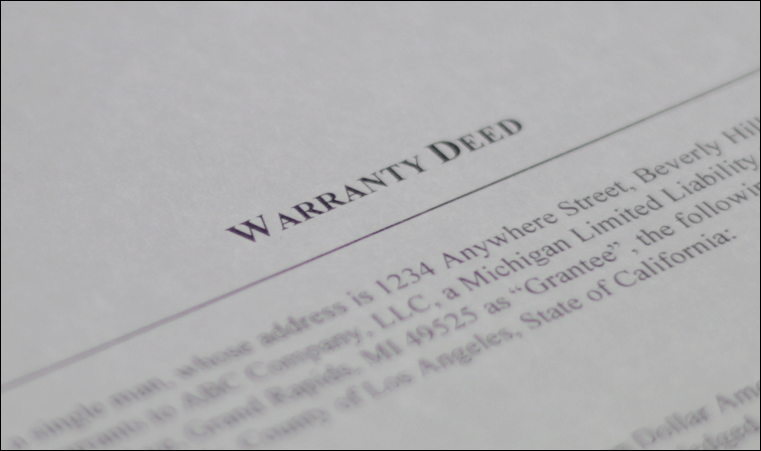 An alternative to the Warranty Deed and the Quit Claim Deed is the Special Warranty Deed. This type of deed is used when the seller is willing to guarantee that there were no defects that occurred with the property's title during the time they owned it. With a Special Warranty Deed, the seller ISN'T necessarily saying the property has a spotless record going back to the beginning of time; only that it accrued no defects during their period of ownership (there's a big difference – and a Special Warranty Deed can help you spell this out). Here's a little tutorial showing how to create a Special Warranty Deed with a service called Rocket Lawyer (you can use this same service to create a Warranty Deed and Quit Claim Deed as well). Alternatively, if you're looking for an alternative source to get some blank deed templates, you can also check out US Legal (their templates aren't quite as user-friendly as Rocket Lawyer, but they also don't require a monthly subscription). When you're buying or selling a property – you'll also want to make sure the property is being transferred to the buyer with the correct ownership structure. When a buyer is just a single person – it's pretty simple. You can just write their name and their marital status as “single”, “married” or “unmarried” (e.g. – John Smith, a single man). If the buyer is a Corporation or an LLC, you can write the exact legal name of the entity and the state in which it resides (e.g. – XYZ Properties LLC, a Florida Limited Liability Company). Again, you'll want to determine the correct terminology to use in your state in order to ensure you're drafting this part of the deed correctly. Many states require some additional “supporting documentation” as a way of notifying the local municipality (i.e. – City or Township) about the transaction that just took place. Lets the city/township know that the property has been transferred to a new owner. Informs the local Assessor of what the sale price was (which assists them in determining what the new assessed value of the property should be). Notifies the local Treasurer of who/where they should be sending all future tax bills. In Arizona, it's called an “Affidavit of Property Value” and it looks like this. 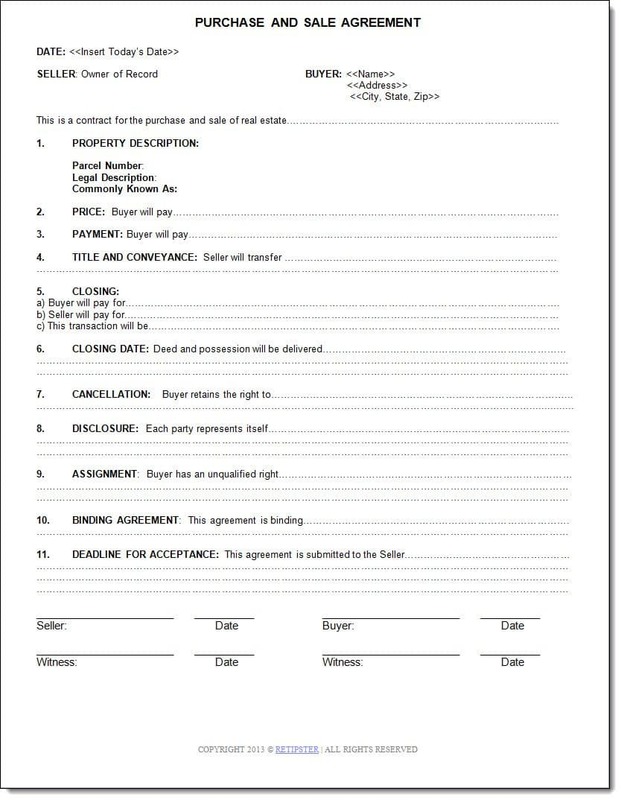 In Michigan, it's called a “Property Transfer Affidavit” and it looks like this. In Nevada, it's called a “Declaration of Value” and it looks like this. In Maine, it's called a “Real Estate Transfer Tax Declaration” and it looks like this. In Hawaii, it's called a “Conveyance Tax Certificate” and it looks like this. See what I mean? You get the idea. 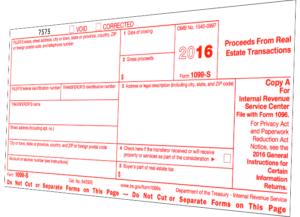 In many (though not all) situations, the person responsible for closing the transaction is required to file Form 1099-S with the IRS. Plan on filing this form yourself. In a written agreement, designate the other party as the responsible person. Whether you file the form yourself or designate the other party to do so – it's a fairly straightforward process (but it can take a bit of learning if you've never done it before). To learn more about why the 1099-S is important and how you can handle the filing process in your closings, check out this blog post. Once a transaction is closed and everything has been signed, sealed, recorded and delivered, you should keep copies of all the fully executed documents in your file (and you should make sure the other person in your transaction has copies of these things as well). Over the years, I've played with a lot of different versions of the above-mentioned documents. Some of these forms (i.e. – the deed) may need to be tailored slightly depending on what state your property is in but don’t let this intimidate you. A lot of attorneys would love you to believe you have to cough up $1,000+every single time you need to close a deal. There may be the occasional case where you have a VERY complicated deal that ought to be handled by an attorney (and in some states, the involvement of an attorney is required – see this blog post for more information), but I've found that in many cases, there is nothing wrong with using these basic templates to close transactions in-house. In my first several years of closing my own deals in-house, I used US Legal as a resource to get the document templates I needed. These days, I use Rocket Lawyer for most of my closing documents, simply because they do a great job of making the process easy. Whatever you decide to do – realize that it doesn't take a huge investment to get the basics you'll need to close your own deals. You could literally save yourself thousands of dollars in attorney fees with these online resources (and don't forget, most of these templates can be uses over and over again). As you’re nearing the end of this guide, all of this information may seem overwhelming. Don’t panic and don't try to become an expert overnight. I can tell you from experience that my first self-closing felt like a marathon, but it gets significantly easier on the second, third and fourth time through the process (and every subsequent time thereafter). Closing your own real estate deal doesn't have to be difficult – but it is important to go slow and make sure you're completing each step of the process correctly. Unfortunately, I can't provide the exact legal documents and instructions for every one of your closings because I'm not an attorney and there are an endless number of variables that can affect your closing documents. At the same time, the standard closing process involves a fairly similar set of documentation to get the job done… and if you need help connecting the dots and understanding how the process works, I’d love to help you get there. When I was closing my first few deals, I had a TON of questions and it would have been very helpful if someone could have simply held my hand and thoroughly explained what each document was all about, what kinds of issues to watch out for and how to navigate through each step of the process. With this in mind, I spent several months putting together a full-blown course that explains how this process works from start-to-finish. The course is designed specifically for people working in the land investing business and it comes with dozens of video tutorials and document templates that give an in-depth explanation of each step along the way. 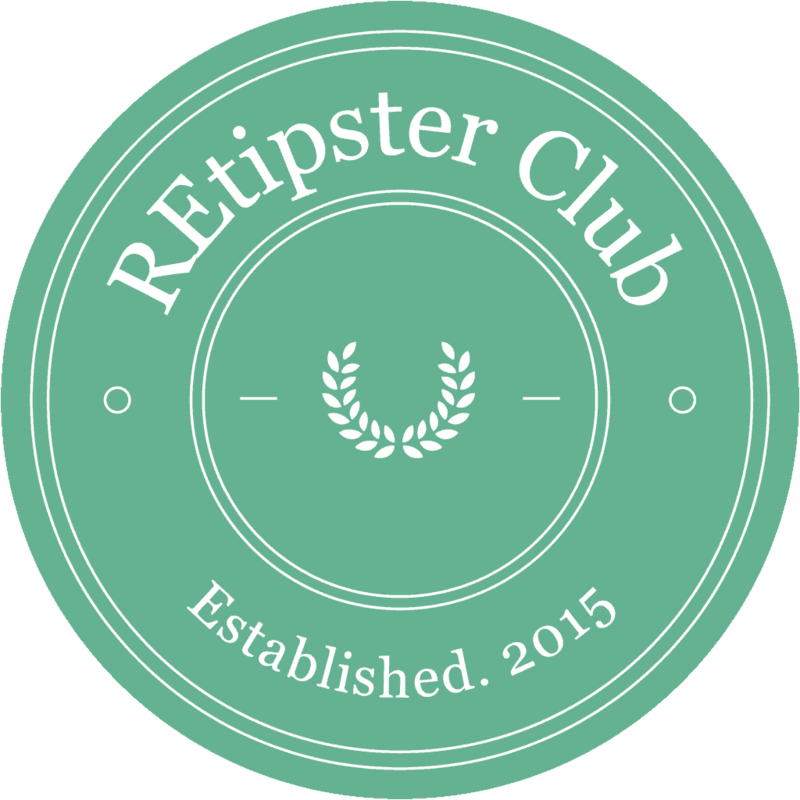 It's all available as part of Module 6 in the REtipster Club – so if that sounds like it might be helpful, be sure to check it out! My hope is that you'll start to realize just how doable this process actually is. Once you get comfortable with these steps and the specifics that pertain to the state your property is located in – it is entirely possible to start closing deals yourself. Your post, How To Close Your Next Real Estate Deal In-House. | REtipster.com, is really well written and insightful. Glad I found your website, warm regards from Julio! Thanks Julio – glad you found it helpful. Do you ever sell your land using a contract for deed? If so, what insights would you provide in that regard? Thanks! Scratch that last comment. I see where you tackle it in another post. My fault! No problem Kerry – thanks for asking anyway. Let me know if you need anything else. Awesome. I had just called my real estate agent to ask about documentation needed for closing a small deal in-house. Literally 5 minutes later I thought…I wonder what articles there are on REtipster… As usual, great content Seth. Lol, that’s awesome – thanks for looking me up Harry! I bought the mini course, it’s so very well written and organized. Take lots of guess out of the game and saved me lots of time. Well worth the money spent. Seth is awesome in answering questions. Thanks for the positive review Eve, I really appreciate it! I’m glad you’ve found this kind of information to be helpful. If you have any suggestions for improvement, definitely let me know! I bought the closing docs for a cash to cash deal but do not see hoe to access them. I need them! Hi Lisa – thanks for the heads up. You should have received a link to download a zip file when you made the purchase (also, I just emailed them to you as well). If you still can’t access them, let me know and I’ll be sure to get them to you. Are these closing documents relevant to both houses and raw land? I’m only going to be buying and selling raw land at this stage, but may go into houses later on down the track. I’d like to buy this ‘Cash Closing Package’ but I purchased ‘Offer Letters & Contract’ for $19 with subscriber discount yesterday. Is ‘Purchase Contract’ the same one that I purchased already? Hi John, yes – ‘Purchase Contract’ will be almost the exact same document you purchased yesterday (however, it’s only one of several other documents you’ll get – along with a boatload of video tutorials to show you how it’s done). Hi Jason, there should be a pop-up opt-in box right above the comments section of this blog post. You can also sign up in the sidebar near the top of the page (where you see the “INVESTOR HACKS” book). Let me know if you can’t find it and I’ll make sure we get you that discount code. nice write up. Just in case your readers want to know, how to draft corporation resolutions, I collected a few on the website mentioned above. Great to know, thanks Nicolai! My husband and I bought our home from my sister. We signed the sales contract in May of 2014 and paid her. We didn’t record it until September of 2014. Which date do we use as far as capitol gains? We would like to sell but are not sure which date applies? Do we have to wait until September of 2016 or can we sell it in May 2016? Can you help us? Wow didn’t expect an answer so quick. Thanks, closing and doc. signing is my guess also but will contact an accountant to be sure. Thanks again. Great articles, enjoyed then. You bet, thanks again for stopping by! I’m thinking of building a small on my sons land that is free and clear. What needs to be done once you get the Certificate of Occupancy. Is there closing procedures? I meant to mention I was paying cash for the build. Hi Ann – I think this largely depends on whatever municipality you’re building in. For the most part, they all have similar rules but the intricacies can vary from place to place. I’m also not the foremost expert in the building process (because most of my vacant lots don’t involve any structures on them), so honestly – I’m probably not the right person to be asking about this. Sorry! Great article Seth! I have a couple quick questions though. When you conduct your own title searches in house, do you still go and get a title policy on the property? And if you don’t get title insurance, do you still use a warranty deed if you’re search has revealed that everything sems okay? Yes, that helps a great deal! Thank you for such a fast response Seth! Hi Mary – WOW! Thanks so much! That means a lot to me. Where do you work, by the way? I appreciate the kind words and I’m so glad to hear this post was helpful to you. I f I want to buy a house from a foreign country(by cash), could I use electronic signature to speed up the process? How to do it? Hi Wan, that’s a good question – but unfortunately it’s outside my area of expertise. If you’re looking for more info on electronic signatures, you might want to check out RightSignature or DocuSign – those are the best to providers I know of. Thanks for the valuable information posted on this site I really enjoyed reading your content. If you have time please take a look at our website / blog covering property investment in Tampa Florida i would love to hear your feedback. Thanks for the valuable content on this site as well as any feedback provided. Thanks Roger! Glad you enjoyed it! Good morning Seth. Very urgent question. We are going to buy a house. Made offer to seller. The real estate agent sent a bunch of papers for us to sign. Why it’s necessary to sign them,cause it is just an offer. Thank you. LAla. Hi Lala – I guess that all depends on what the papers say. I’m guessing it’s a standard Purchase Agreement (but that’s purely speculation on my part). I’d say your best bet is to just read them through before signing anything, and if you aren’t sure what they mean, ask the real estate agent for some help in understanding what you’re agreeing to. We have been renting a house for 5 years. Our landlord made us a offer to buy it for $10,000 cash. We no the ins an outs of the house. We no it needs work. Do you think we need a lawyer or do u think we can do this our selfs. For something like that, I would probably bring it to a title company or closing attorney. If it were me, I would definitely want to get title insurance on a property worth $10,000. Hello Seth! I’m so excited that I ran across your website/blog! Here’s the deal… We are first time home buyers and we found a 3bed/2ba mobile home for $8500 obo on a huge rented lot ($150 a mo. Paid to lady that owns the land) that 2 brothers and their son/nephew reside in. I want to do this correctly, without getting screwed over somehow. Meaning I don’t just want to hand a stranger $4500 and entrust them with it til the month ends and we finalize with remainder and deed. Can we follow your list as a buyer and succeed on our own? Do we purchase your program… or get ahold of an attorney/whomever for only the things that require witness /proof? I feel like we as the buyer need to cover ourselves by gathering all necessary paperwork . Our family appreciates not only all the help so far but hopefully the answers or necessary steps to help us achieve this ourselves or with minimal help quickly and correctly. Of course – you can do whatever you want, but if it were me, I would probably get a professional closing agent involved with something like this… simply because it sounds like there are more moving pieces than the deals I typically work on. It might be worth contacting that attorney and seeing if they can help you work out a solution. Hi Seth! 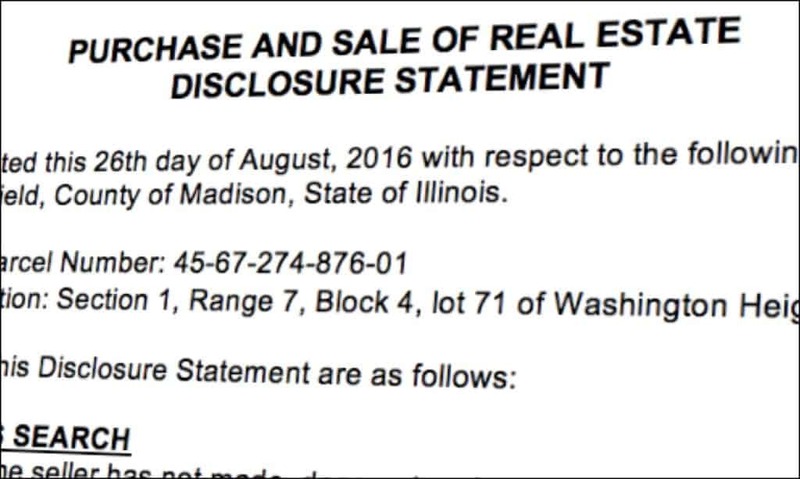 Just an update here… By using your forms package and instructions, we closed on our house August 15th! Total closing costs were… wait for it…. … $239! Of course we’ve known the seller all out lives, so we didn’t need an expensive referee! What a racket! Thanks again for all you do! First, let me say that your site has proven invaluable for me as a fledgling investor! Unfortunately, I guess you could say I bit off a little more than I could chew. I devoured your blog and dove in, head first. I found a good deal on a raw piece of land, pulled the trigger, and it’s now for sale on eBay. I talked to the county just to be sure I had my ducks in a row. The woman I spoke with threw in at the last minute, “oh, don’t forget the affidavit of property value.” Um, ok, can do! Did I mention this was in Arizona? Next step..what the heck is this? Now I’m trying to figure out what exactly I need to do. Like I said, jumped in feet first and now I’m stuck! Any help would be very much appreciated…my auction ends Sunday and I’m trying desperately to get it figured out before then! Thanks in advance for any help! Thank you for the information this was so helpful. I want to get my head around this and grasp it well so that I can move quickly and smoothly. Thanks so much! If you’re selling a cheap property (less than $10,000) and if you’re closing the deal yourself (without a title company or attorney in the mix), I think you’ll find that many buyers won’t care about title insurance and as a result, it won’t be a huge show-stopping issue if you received a quit claim deed when you bought it. You may find the occasional buyer that takes issue with it, but many of them won’t when you’re dealing in this price range. All in all, you’ll want to factor these potential costs into any deal before you move forward. If you think a certain procedure will be required in order to sell, you should consider those costs as part of your overall acquisition price – and if the math doesn’t work, don’t do the deal. Great stuff! I found some very helpful nuggets in your tutorials. I really appreciate it. Regarding buying from a trust and the affidavit of trust document. What if there are two individuals in the trust? This would be often the case. Do both trustees need to sign? Hi Rob – great question, I’ve never encountered that before. My gut is telling me “yes”, but I’m thinking you’d probably have to talk with a professional closing agent (or maybe even an attorney) to be 100% sure. Sorry I can’t give you a complete answer on that! Ontario Canada,,,,,can you purchase a mobile home in cash on leased land…WITHOUT a lawyer ? and how ? thanks in advance ! Hi Paula – I haven’t done any work in Ontario and I’m not sure how the law works up there. Sorry about that! You could always try calling a closing office and ask them if there are any attorney requirements in your area – I’m sure they could give you the answer pretty quickly. Your website was very helpful to me. It really answered a lot of my questions concerning the closing process, and I will be sure to utilize all of the resources you have provided. That’s great to hear Carlton! Thanks for letting me know. Best of luck to you! Seth – lots of interesting reading on the web page retipser.com: how to close cash transactions. I have 2 questions I’m hoping you can answer. My neighbor wants to buy my cabin and the vacant lot next to it that I also own for $30,000 cash, total. Would that be two separate transactions with paperwork for each? The vacant lot is only worth $1000, but I get tax bills for both the vacant lot and the cabin property. I have a mortgage on the cabin property. How do I go about paying off the mortgage holder? Should I have a title company involved in this case to make sure the bank gets their money and signs off on their lien? Any advise you can give is appreciated. Thanks in advance. Hi Paul – you could sell two parcels with one Purchase Agreement and Deed. There may be some other considerations that come into play when selling a cabin (i.e. – “improvements”), but in terms of the simple deed aspect of it, most states make it possible to list the legal descriptions of both properties on one document. I only handle self-closings on VERY cheap deals that I’m buying and selling (when the property’s value is less than $10K)… so if you’re working with a property that has substantial value, it’s usually an easy choice to outsource this work to someone who does it every day (rather than trying to figure it out yourself). Thank you Seth for responding to my question. It was very helpful. When you are closing a smaller deal yourself, how to you handle the exchange of funds? Do you use an escrow service or handle it yourself? Just curious about the checks and balances and both parties being comfortable with the closing process. – They can send me their cashier’s check first, and then I’ll send them the deed (however, for understandable reasons, some people are willing to do this, others aren’t). – They can meet with me in-person (this is only if they won’t do it by mail – in this case, I’ll make them come to me and meet me in a public place… I won’t drive hours to meet them where they are). – Using a mobile notary (this can be a nice option, but it does cost money, their reliability can vary, and they aren’t readily available in all areas). – Using a title company (if all else fails, a title company will make this whole dilemma much easier – but this option also costs the most. If you don’t want to pay this cost, you can always have the buyer cover it too – if they’re willing). 1. What type of deals should I look into doing first (i.e. what is the best way to get my feet wet)? I have been personally looking into going the tax delinquency search route, since it makes the most sense in finding ultra-motivated sellers … any advice in that would be greatly revered and appreciated. 2. What states do you personally know that these assignment contracts will work in/won’t work in – do you have a running list that we can download or see on the site? Post Script: I do have some cash to work with and I also have the ability to build my own high quality buyer/seller/whole seller website that offers contact i/o at a much cheaper rate than something like the ones you’ve mentioned … i don’t know if that info will alter your answer at all. Hi Tom – if I were in your shoes with a project like that, I would definitely be using an attorney or title company to close the transaction for me. The cost is totally worth it – considering the attention to detail and the workload they’ll take off your back. Good luck! Seth, great article! Your website has helped me tremendously, starting with your yellow postcards. That’s how I got my foot into the marketing world. Thank you for all the help! That’s great to hear Jaden – thanks for letting me know! Hi Brian – that’s a great question. 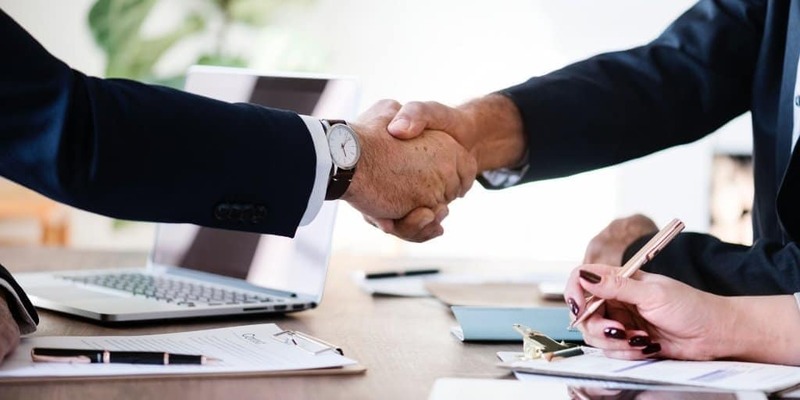 This is probably the most difficult part about closing a deal without a third party closing agent – because without this third party making sure both the buyer and seller perform… you essentially have to trust each other on some level. I have a commercial building for sale and the buyer is willing to pay 210,000 cash deal. The property is free and clear. Do you recommend self closing or using an attorney and or title company? This is in the sate of Virginia. Hi Bob. For a property like that, I would NOT do a self-closing. Is it legal to do a wholesale assignment closing yourself without a Title Company or Attorney in Florida? The wholesaler has the property under contract with the owner and the wholesaler is assigning it to the buyer and will receive an assignment fee. I’m honestly not sure – some states have some odd laws around this, and I’m not sure how Florida works. If you are selling a house for a cash contract can you make them bring cash. I’m not sure I understand your question Billy. If you’re selling a house for cash, then that’s typically how you should expect to receive the payment (in the form of a cashier’s check). Is that what you’re asking? If not, perhaps you can you rephrase that? Thank you so much, i was so confused, going through all the information about buying land, almost in to tears, but i’m glad i didn’t give up and found youf website, you made me feel at ease, now i can research, with out fear, so Thanks again! Glad to hear it Ruth! That’s great. Great article Seth! I just recently bought my first parcel of land which I closed myself and this article was a HUGE help. I was actually able to find someone on Fiverr to do the title search for me pretty cheaply. I have a question about the Disclosure Statement; where exactly do I find this? I’m assuming this can be found on US Legal or Rocket Lawyer but what exactly am I looking for? Do you have an example of this document? Any help you can give me would be greatly appreciated! That’s awesome Glenn! Thanks for letting me know! I’m glad the article was helpful. Yes, that makes sense. Thanks for the reply! Seth, I have been reading your blog and like so many before me have said, the depth and clarity of information has been invaluable. I have sent out my first mailers and hope to source my first deal in the coming weeks. I have spoken with title attorneys and will be having them run the closing. I will be buying your purchase agreement template once I find my first deal, but I have one question. Does the purchase agreement need to be notarized? I want to make sure I am 100% clear on this part of the process since so much of this business depends on making the seller’s life easy. Hi TC, thanks for the kinds words, that’s great to hear! Also, for the record, even in the states where a witness signature is required, I’ve actually missed this on a number of occasions and the title companies have still been happy to close them for me… so take that for what it’s worth. Sounds like a nice resource. Thanks for sharing Jim! Hey Seth! 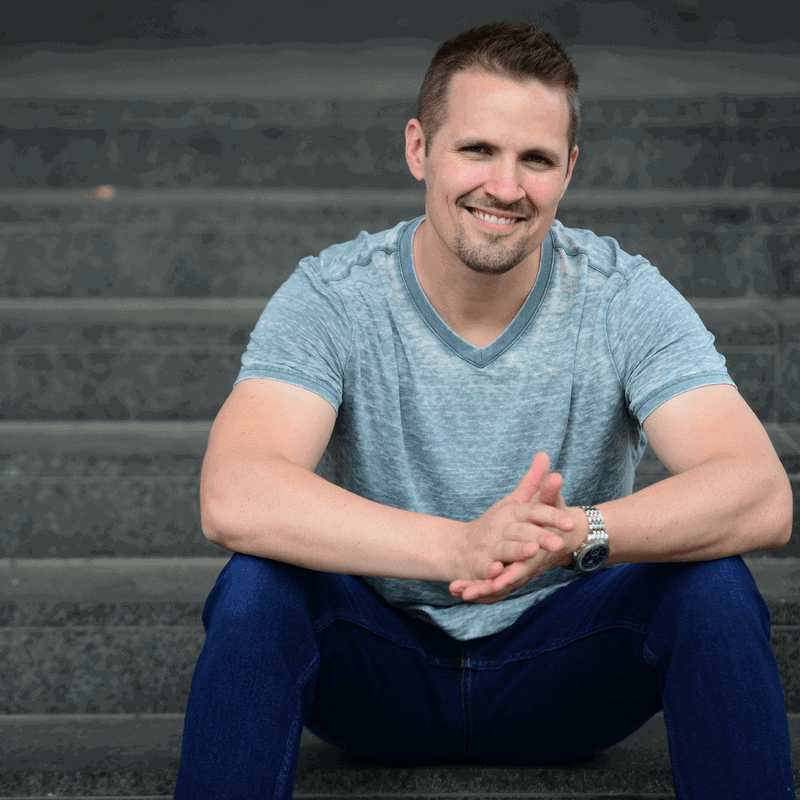 I just got this article after finish reading “Why You Cannot Ignore Professional Photography in Real Estate Investing” on your blog. Thanks for all value articles. They are really helpful for readers. Just keep working hard on that. Thanks for the kind words Austin! Appreciate having you as a reader! Your shared information about In-house real estate transaction is very helpful & related to realtor’s business. Thanks for sharing this useful data. My buyers ( on a private sale) want out of their contract. Can they sell my property?? They are saying they will. Do they have the deed to the property? If not, then they wouldn’t have any legal grounds for selling it.